Co-published with The Bodleian Library (ISBN 978-1-85124-436-2). 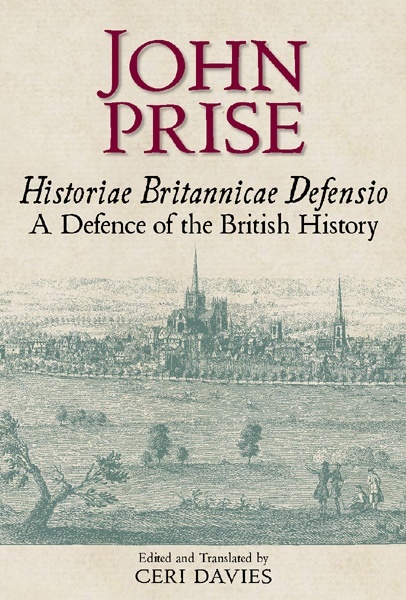 The present work brings John Prise’s Historiae Britannicae Defensio back into print for the first time since 1573, when an edition was published by the author’s son, Richard Prise. The 1573 printing forms the copy-text, critically edited in the light of the one surviving manuscript (Oxford, Balliol College, MS 260) of a version which is very close to it, and drawing also on an earlier draft (in BL MS Cotton Titus F. III). The facing English translation is the first published translation of the Defensio. The work is accompanied by an extensive introduction and elucidatory notes. Sir John Prise (1501/2–1555), of Brecon, was an influential lawyer and administrator during the reigns of King Henry VIII, King Edward VI and Queen Mary I. In the 1530s he was brought under the aegis of Thomas Cromwell, to whose family he became connected by marriage, and was appointed visitor and commissioner for the dissolution of monasteries in England and Wales. The experience made him acutely aware of the wealth of manuscripts contained in these religious houses, and alone among the commissioners he set about saving material from their libraries. In 1540 he was appointed secretary of the Council in the Marches of Wales and made his home in Hereford, in the dissolved Benedictine Priory of St Guthlac. This remained his base for the last fifteen years of his life, a time in which he combined public duty with a deep commitment to literary and scholarly pursuits. In 1546 he was responsible for the printing of Yny lhyvyr hwnn, the earliest printed book in the Welsh language. His greatest work, however, is his Latin book, Historiae Britannicae Defensio, an early draft of which was written by 1545. 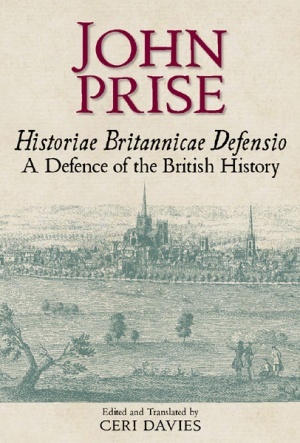 In it Prise addresses the criticisms directed against Geoffrey of Monmouth’s Historia Regum Britanniae and the tradition of the British History based on it, especially by the Italian historian Polydore Vergil in Anglica Historia (first edition 1534). Until nearly the end of his life Prise continued modifying and expanding his text. It is notable not only for its author’s knowledge of British antiquity, founded on years of study of manuscript and other sources including – most importantly for Prise – material in Welsh, but also for the range of its learning, its lucid Latinity and the forensic quality of its argumentation. Ceri Davies is Emeritus Professor of Classics at Swansea University, where he taught until his retirement in 2011. A graduate in Classics of both the University of Wales and the University of Oxford, he has written extensively, in English and Welsh, on the reception of Greek and Latin literature in Wales and especially on Welsh writers of Latin in the sixteenth and seventeenth centuries. Among his publications are Rhagymadroddion a Chyflwyniadau Lladin, 1551–1632 (a volume of translations into Welsh of Latin prefatory literature, 1980), Latin Writers of the Renaissance (Writers of Wales Series, 1981), Welsh Literature and the Classical Tradition (1995), John Davies o Fallwyd (2001) and the edited volume, Dr John Davies of Mallwyd: Welsh Renaissance Scholar (2004). He is a Fellow of the Learned Society of Wales, and has been Leverhulme Research Fellow (2001–2002) and Visiting Fellow of Magdalen College, Oxford (2008–2009). Customers in Europe, including the United Kingdom: please order this title from Bodleian Library Publishing. Customers from other territories: detailed information about ordering, including methods of payment, is available on our ordering page.